Although 302 redirects can also be cached, the default Acquia VCL does not cache 302 redirects. Because of this, caching these responses requires a custom VCL. The Redirect module creates the max-age header that is sent to Varnish for redirects. The header is also created later when you enable Allow redirects to be saved into the page cache in the module's settings. 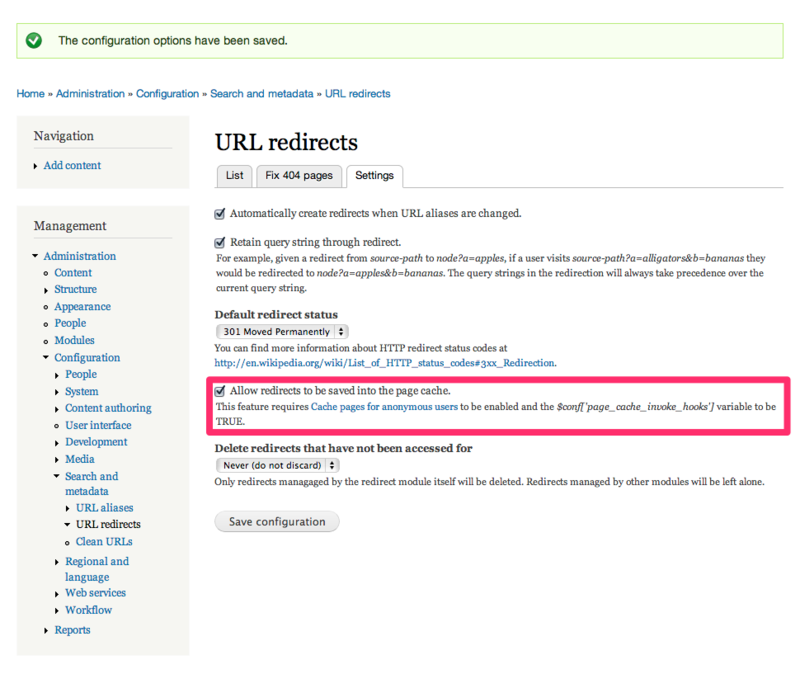 The Redirect module cache settings also apply to other redirects. You can override these on a global or per redirect basis. Starting with Drupal 7.4 you no longer need to set the $conf['page_cache_invoke_hooks'] variable. To set Varnish-cachable 301 redirects from .htacess, you must set an environment variable using mod_rewrite and conditionally add caching headers with mod_headers. Because Acquia Cloud already sets a 15 minute cache, this variable is only needed if you want to cache in Varnish for more than 15 minutes.